We’re entering a new era where all kinds of devices are getting internet-connected and communicating with each other: refrigerators, watches, Bluetooth speakers, cars, door locks, and even clothing! It’s called the Internet of Things The Internet of Things: How It'll Change Your Life Next Year The Internet of Things: How It'll Change Your Life Next Year Internet of Things has undergone its own Cambrian Explosion, and it promises to make your life much more convenient in the years to come. Here's why. Read More and it’s pretty exciting. But it also comes with many risks — not just security risks Why The Internet of Things Is The Biggest Security Nightmare Why The Internet of Things Is The Biggest Security Nightmare One day, you arrive home from work to discover that your cloud-enabled home security system has been breached. How could this happen? With Internet of Things (IoT), you could find out the hard way. Read More , but threats to your personal privacy 7 Reasons Why The Internet of Things Should Scare You 7 Reasons Why The Internet of Things Should Scare You The potential benefits of the Internet of Things grow bright, while the dangers are cast into the quiet shadows. It's time to draw attention to these dangers with seven terrifying promises of the IoT. Read More . You may not realize it, but any device that connects to the internet can potentially be hacked. Which is why you need to use this free tool now. Bullguard, an industry-leading developer of security software, has an online tool called IoT Scanner. It scans any internet-connected device or network to see if there are any vulnerabilities that can be exploited to gain access to said device or network. If it does find a security vulnerability, it’ll give you details of the problem that you can use as a first step toward bolstering your network security. Give it a try. It can’t hurt. Run the Deep Scan if you can. Note that even if the IoT Scanner gives you the green light, you should know that there are some internet-capable devices that you should never connect to the Internet of Things 5 Devices You Do NOT Want to Connect to the Internet of Things 5 Devices You Do NOT Want to Connect to the Internet of Things The Internet of Things (IoT) may not be everything it’s cracked up to be. In fact, there are some smart devices you may not want to connect to the web at all. Read More . 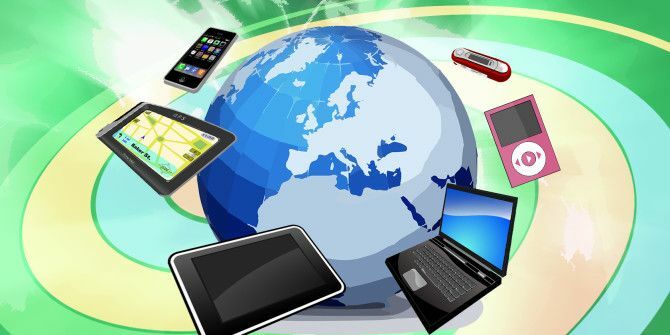 How do you feel about the world’s devices becoming increasingly more interconnected through the internet? What steps do you take to keep your own network secure? Share with us below! Explore more about: Internet of Things, Online Privacy, Online Security. Curious. Why would a security tool not be using https...? Pass.